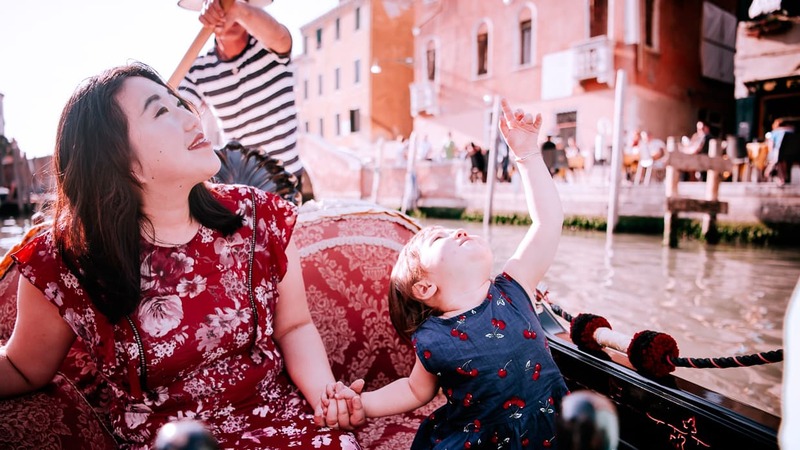 If you’ve been researching Venice gondola rides, you’ve probably come across some information that makes you doubt whether it’s worth it. 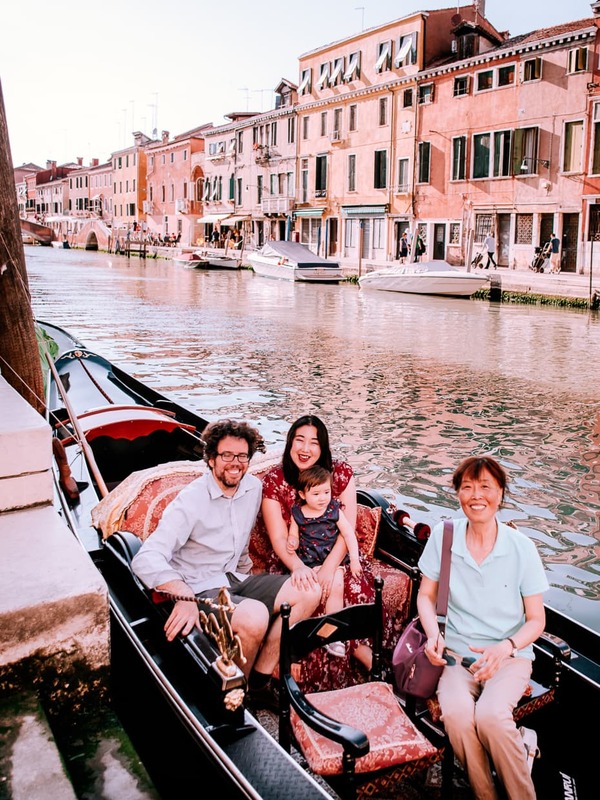 You’ve learned that the locals don’t ride the gondolas, only the tourists do. You’ve learned that they aren’t a practical form of transportation. You’ve learned that it’s kind of pricey. You’ve learned that you can’t see everything from the canal. There are plenty of people who don’t care for that kind of thing. 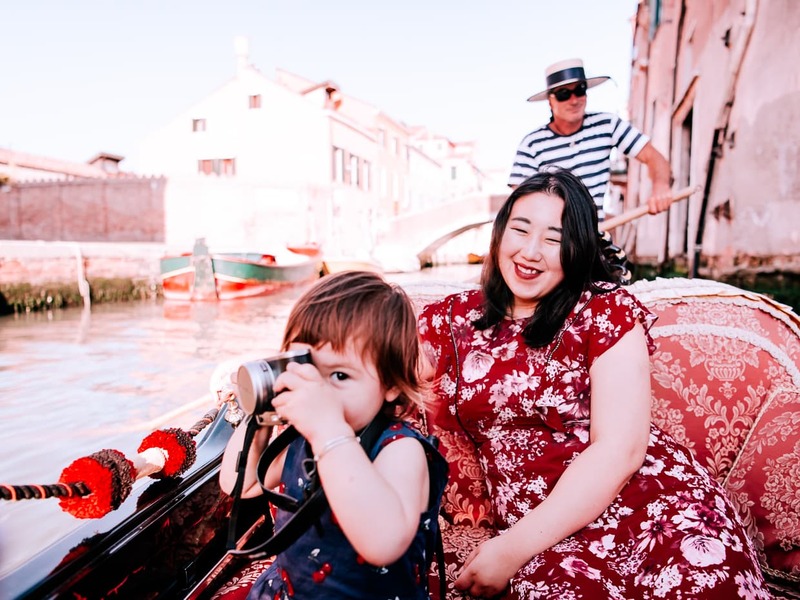 But even though we usually fall into that category, here’s why we went for a gondola ride and why we think you should too if you are ever in Venice, Italy. The Venetian gondoliers all charge about the same prices as far as we could tell. Before 7pm, gondola rides cost 80 euros for the first 40 minutes and an additional 40 Euros for every 20 minutes after that. After 7pm (because the evening is for romance!) gondola rides cost 100 euros for 40 minutes and 50 euros for each additional 20 minutes. That is a little pricy for a relatively short tour! But you have to think about it compared to how you would spend that money otherwise. 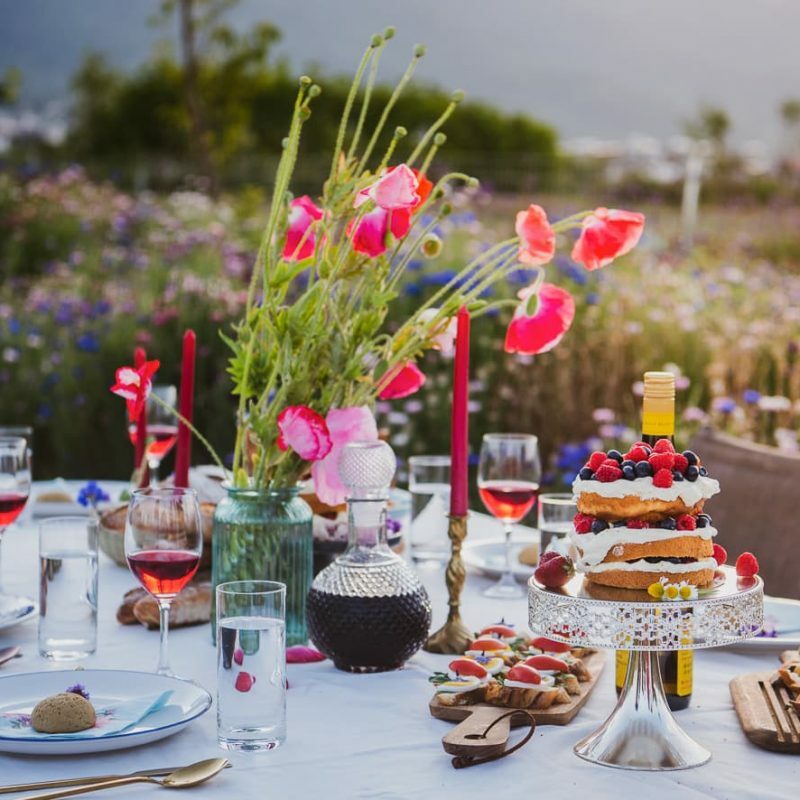 The restaurants in Venice are also quite expensive – especially in the busier areas like St. Mark’s Square and along the popular canals. If you go out dinner you could easily pay that much money. Plus, unless you are really savvy, that expensive meal will probably be mediocre at best. Mot of the restaurants are catering to what tourists will recognize and buy, and they are charging a premium for their location on the busy island, flush with outside cash. If you can live without dinner in a sit-down restaurant, you can go on a Gondola ride that will provide a much more unique and memorable experience. Also, the price is per gondola, not per person. 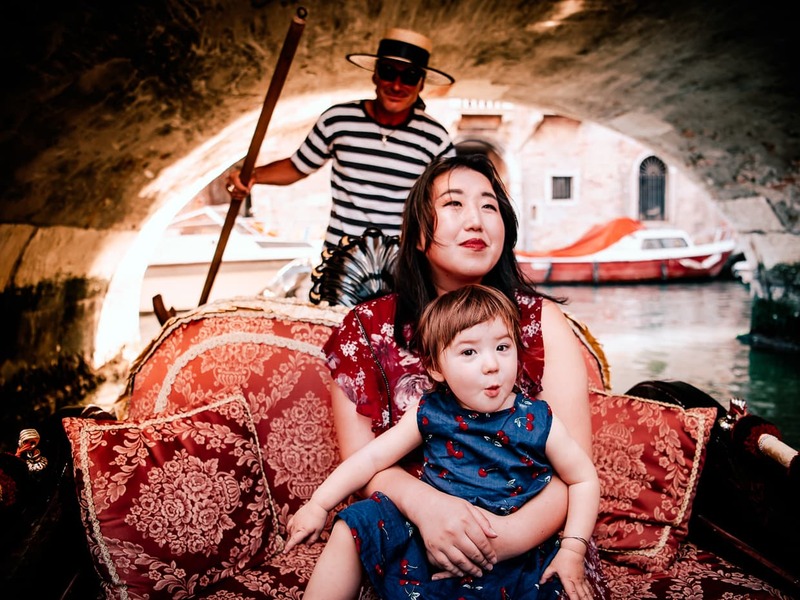 Each gondola can hold up to six people, so if you are in a group, of six, it can actually be as little as 13.33 per person, which is less than a lot of museum tickets. If you aren’t in a big group, you can sacrifice romance for frugality and share a ride with strangers. Jake and I love a romantic evening as much as the next person, but when it comes to exploring a city, we’re usually in it for the photography. This means scouting and planning every photo shoot for the best angles and times of day. But exploring Venice is hard! It’s a total maze of canals, alleyways and crowded streets. Scouting out just a small city block (if you can even call it a “block”) can take almost an hour of weaving back and forth trying to find the nearest bridge or figure out which way you’re facing now. 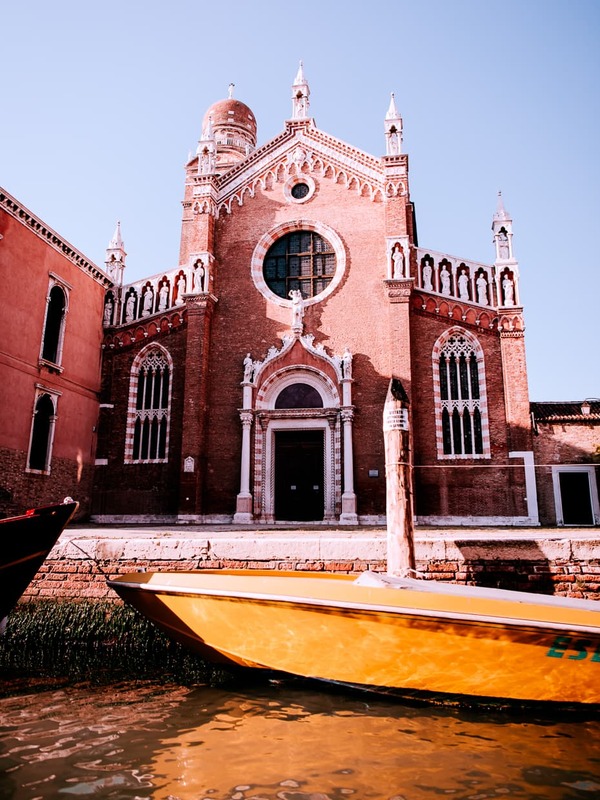 The gondola gets you around fairly efficiently in comparison, and you get to see some churches old churches, little bridges and colorful window boxes that would take you forever to find by following the streets. 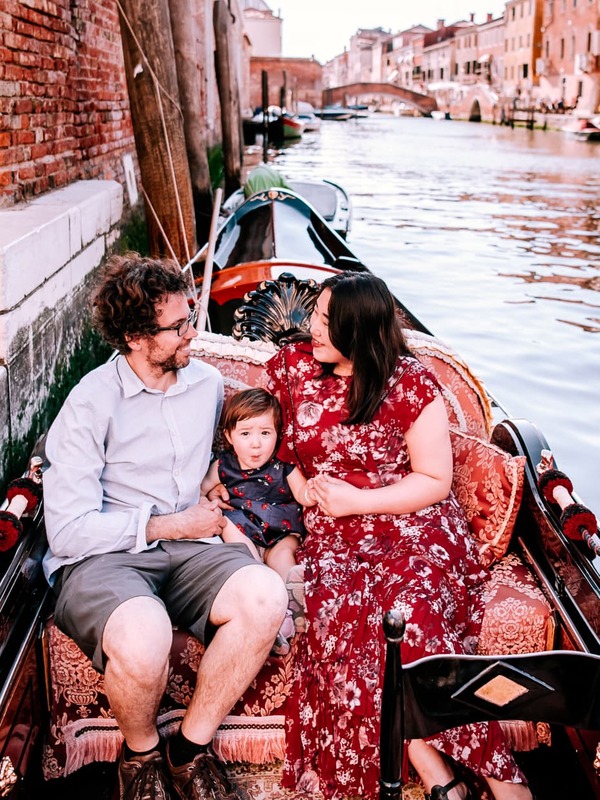 Jake and I did our gondola ride during the last week of our month in Venice, and even though we were focused on taking pictures of the gondola ride itself, we just had to go back out again our last few days for a few new sites. We visited Venice in May, which is generally considered to be the off season. Despite that, the streets were mobbed during the day, and the sun was brutal on the warmer days. We’d come home sweating every day. 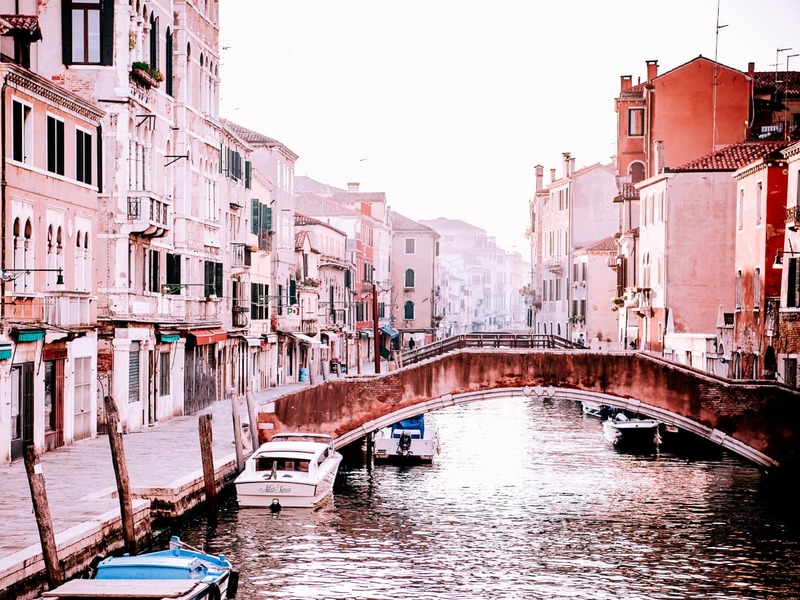 In Venice, Italy, there are no cars, no buses, no rickshaws or even bicycles. 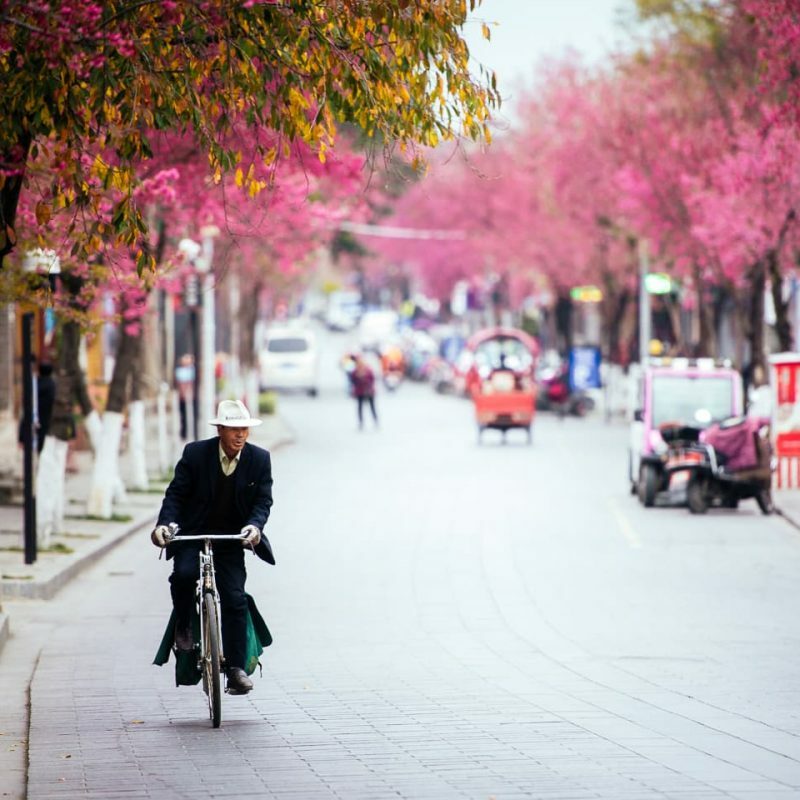 If you are exploring the city, you are doing it on foot. If you have children in a stroller, this becomes especially challenging because the bridges (which are abundant) have stairs and everything has to be carried over them. We were lucky enough to be slow traveling while we were there, but if you only have a weekend to see it all, you will be grateful for the chance to sit down and let someone else do the work for a while. And the best part is, there’s no need to purchase your ticket in advance. 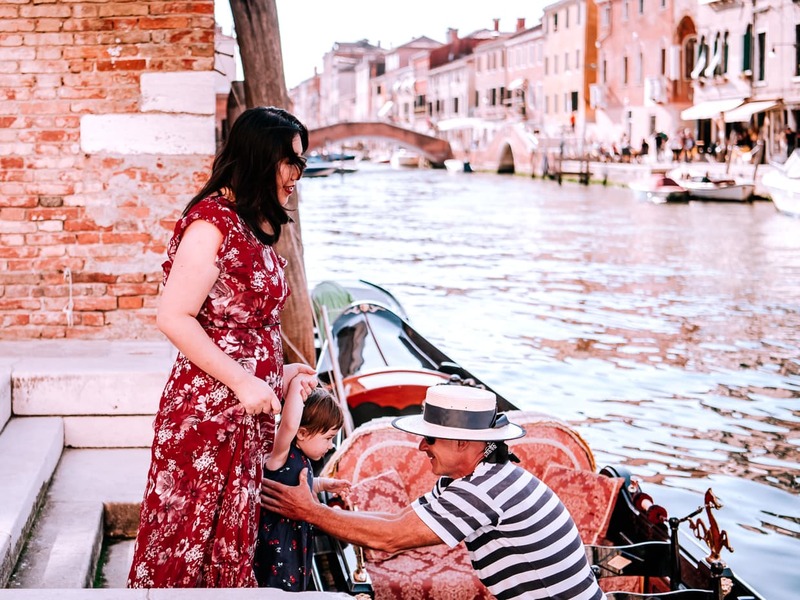 There are gondoliers waiting around everywhere and you just need to pay in cash on arrival. 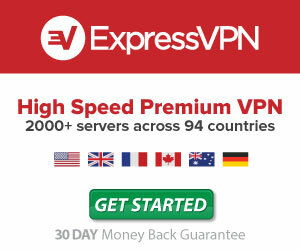 But do make sure that the rates and the length of your trip are settled ahead of time. You never want to have a disagreement ruin an otherwise fun experience. You might be worried about taking your child on a wobbly boat with no life jackets, but we found it to be no problem at all. 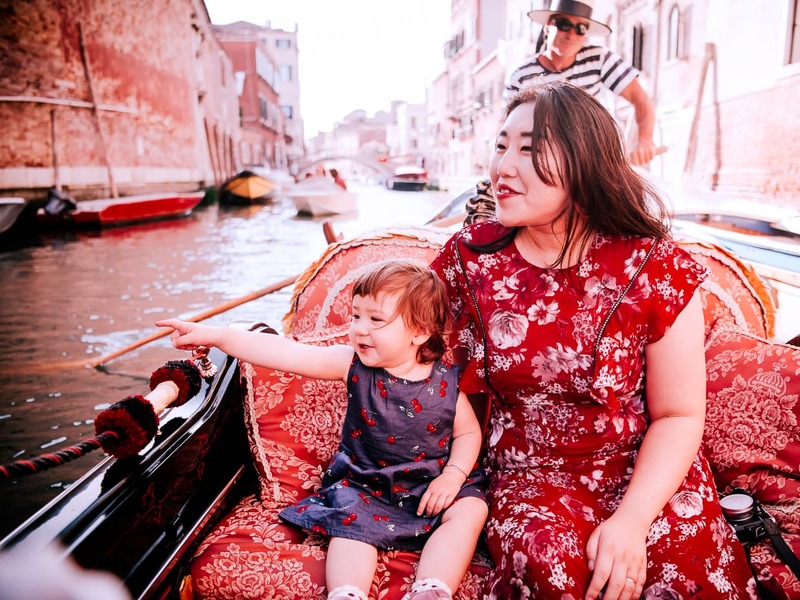 The canals of Venice offer enough scenery to keep the attention of a little one for at least long enough to keep them from tipping the whole thing over. I do however recommend a few steps to make sure that the ride is comfortable and enjoyable for the whole family. Do the shortest possible route: The minimum ride offered is a forty minute loop. That’s what we did, and it was just long enough. By the end, our 18 month old daughter was just starting to get sick of pointing out all the boats she saw. She didn’t get bored and start squirming until it was almost time for us to dock. Stick to the smaller Canals: There are gondola rides that go down the Great Canal, or even to some nearby islands. Because of wind and larger boats that operate in the open water, those areas can be a bit choppy. 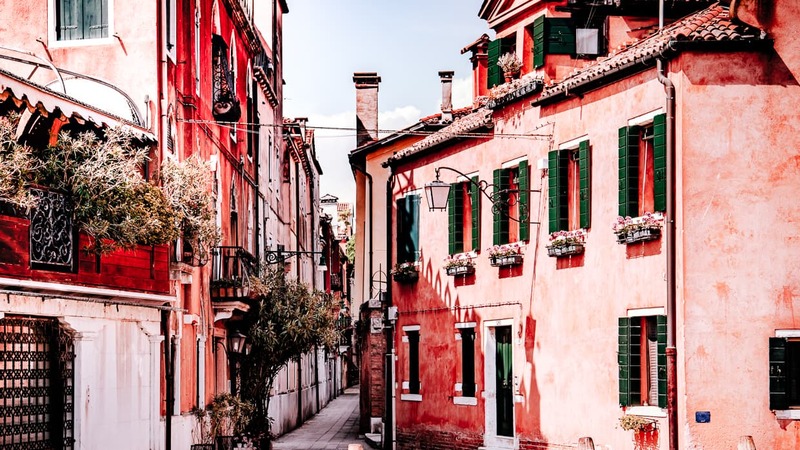 Bring a map of the city with you and have the gondolier trace out what route he or she will follow (this is a good idea even without children because it’s nice to know if you will go by anything interesting). Our route went all through the surprisingly beautiful Jewish Ghetto district, and it was smooth sailing. 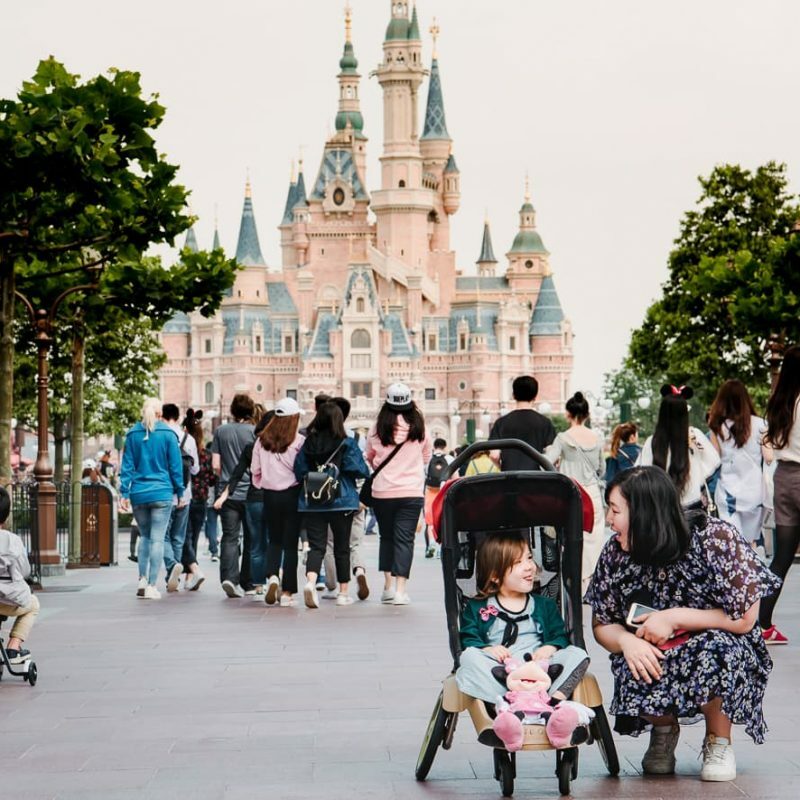 Bring snacks and a toy: Just in case it turns out that your little one isn’t as interested in the ride as you expected, it couldn’t hurt to have something to keep them occupied. Lisa loved holding our second camera (under close supervision), but we’d recommend bringing something a little less expensive. You are surrounded by water, after all. Take Care of Nap time First: No one is going to fall asleep in such an exciting new environment. If you were counting on a sleeping toddler to make the trip bearable, forget it. A tired child is a cranky child, so make sure everyone is well napped. 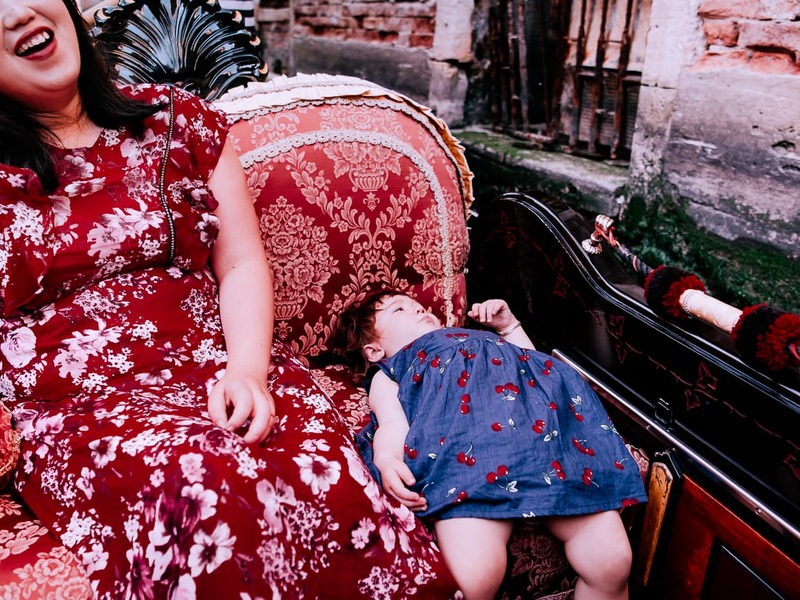 Besides, you wouldn’t want to sleep through the gondola ride, why would Baby? 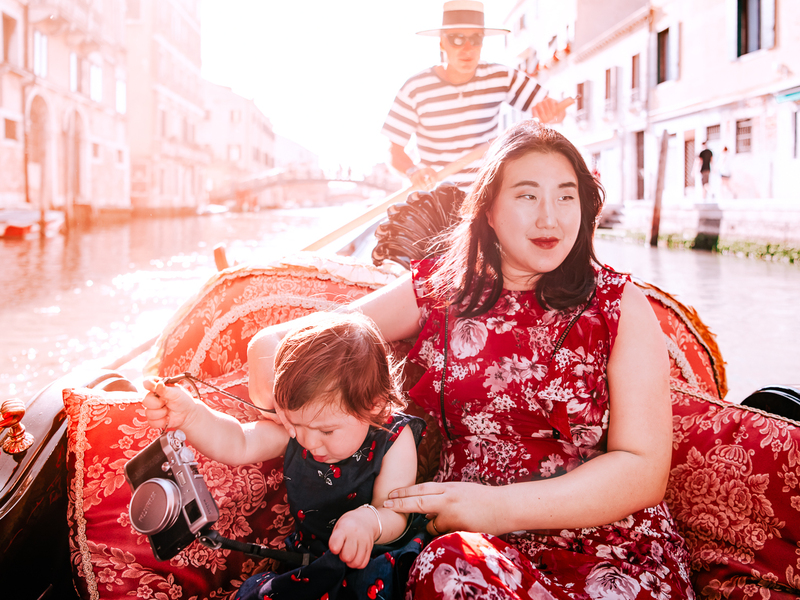 Check out our resource page to see some of the baby products and camera gear we used while we were in Venice. 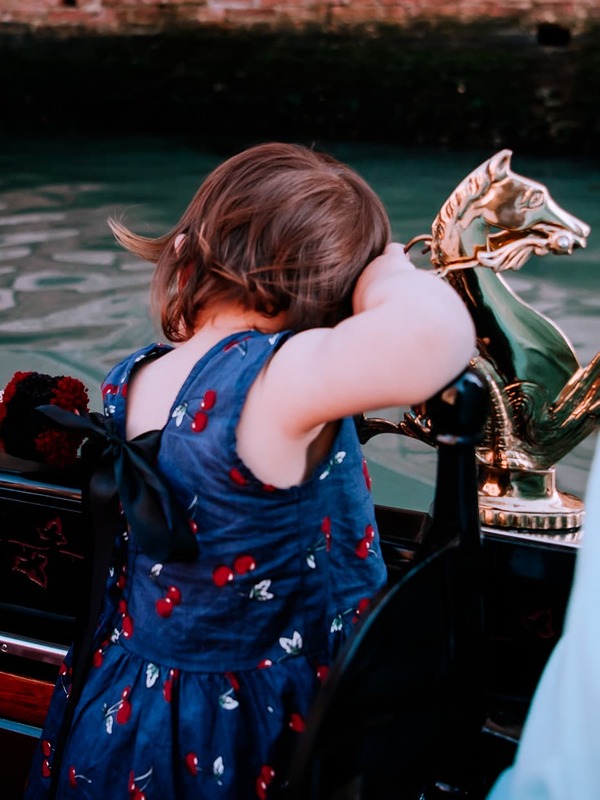 And don’t forget to read our other article about the pros and cons of visiting Venice with children. 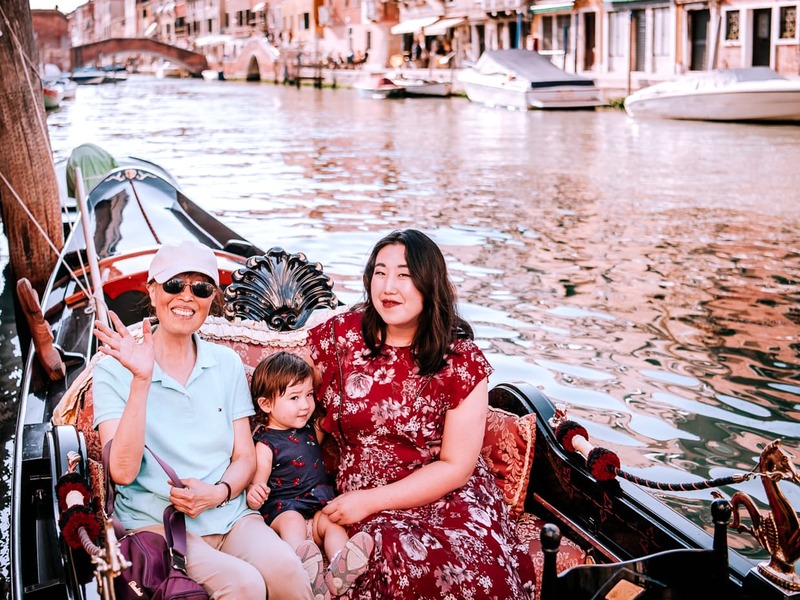 When you get home and you’re sharing your photos with everyone, you will definitely come across photos of gondolas (unless you are pointing your camera at the sky the whole time). When they inevitably ask if you rode in one, wouldn’t it be nice to say that you did, and then present the images as proof. 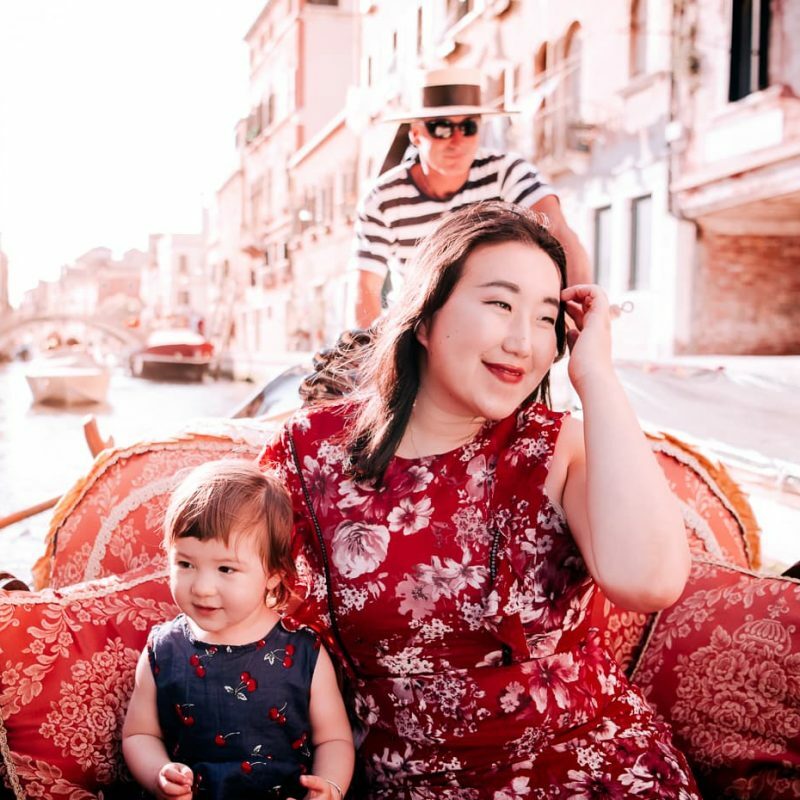 The gondolas themselves are very ornate, and the routes are concentrated in some of the most scenic areas of one of the most beautiful cities in the world. We’re working on another post focusing exclusively on photography tips for your gondola rides. So check back soon, or better yet, sign up for our newsletter! 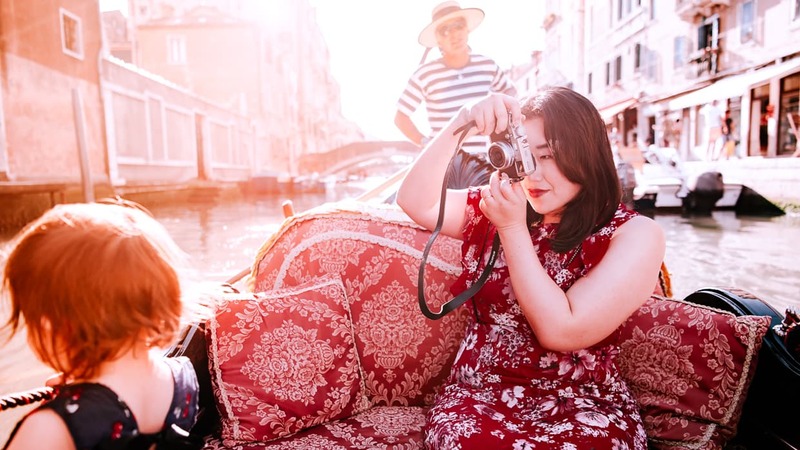 Update: Those photography tips for gondola rides are now live! 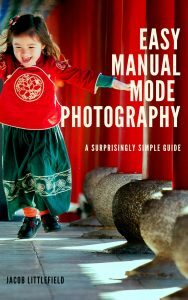 So is our new e-book, Easy Manual Mode Photography, which will come in handy if you want to start taking your photography more seriously, but don’t want to get bogged down in unnecessary jargon. You just traveled all the way to Venice, Italy, possibly from the other side of the world. What are you going to do? Not ride a gondola? Seriously? Yes, it’s a tourist trap in a heavily touristed city. But think about it, when you were planning your trip to Venice, the canals were kind of the thing, right? If the plane tickets had cost an extra 100 euros, you still would have bought them, so just go for it. It probably won’t be exactly what you envisioned, but you’ll definitely have a good time, and you won’t regret that you did it. Cross it of your bucket list and fly home without regrets. A gondola ride takes an hour or less, it gets you a new perspective, and it’s an experience unique to Venice. Don’t let anyone tell you it’s not worth doing. We hope you enjoyed reading this article. If you did, you should check out some of the other places we’ve visited on our destinations page. If you’d like to support our website and our travels, you can visit our resource page or our shop while you are planning your next vacation, or you can read about our efforts to monetize this travel blog in our monthly report, Operation Digital Nomad. Thanks for mentioning how gondolas get you around the city efficiently. 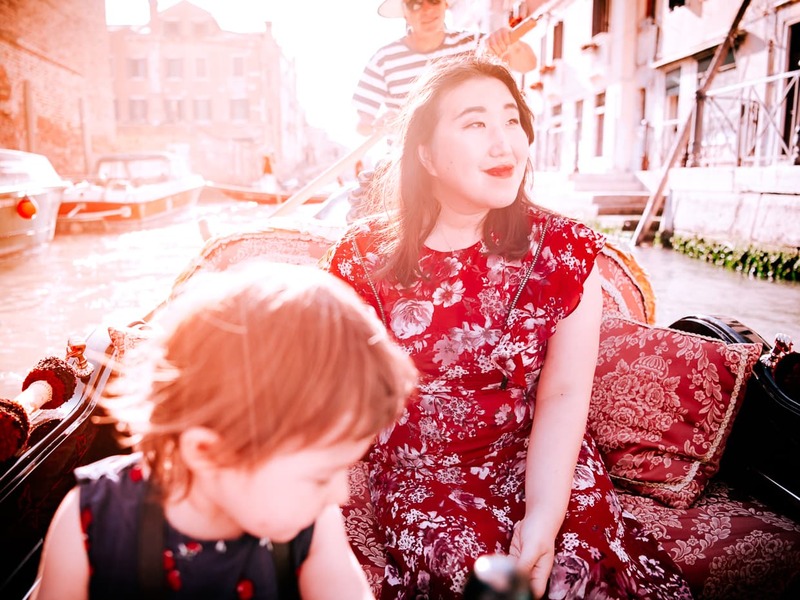 If I were to go on such a trip, I’d definitely prefer to not waste my energy walking and choose to explore Venice on a really iconic gondola. Soaking in the beauty of the place from down in the water canals would be quite an experience, I would imagine. Thanks for sharing! It’s definitely a cool way to see the city. But to be clear, it’s not for getting from point A to point B, since they always return to the same spot. 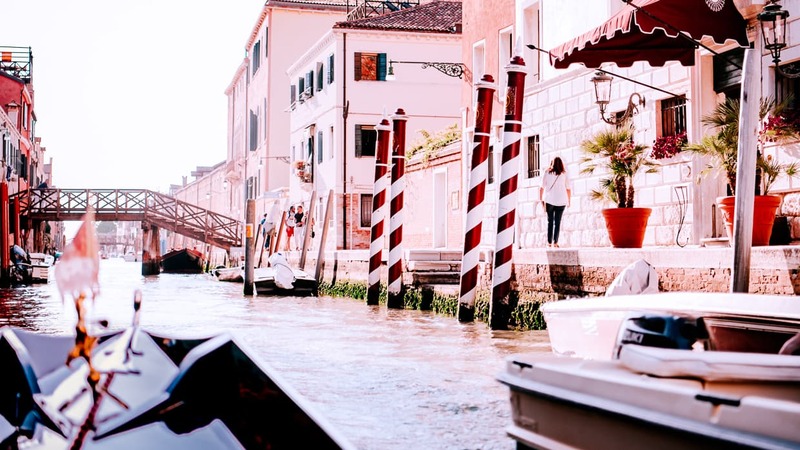 Your gondolier will usually have a few routes to choose from, so make sure you pick a location and a route that will take you somewhere new!